China has been known as a manufacturing giant and this industry has affected their economy positively for at least three decades. 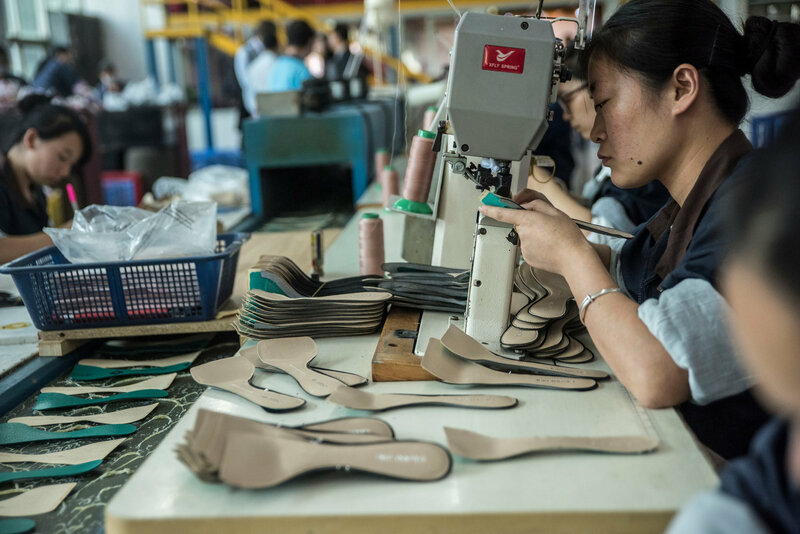 However, technological lapses, productivity demands, and increased labor costs make China less favorable to be chosen to manufacture the products of other countries. Others are more capable of bringing high quality manufactured products through technology. The United States and Europe have been stepping up in the manufacturing industry. The decrease of China in this aspect has been foreseen and particular strategies have been implemented. Modernization of their factories to cater to advanced technologies is being implemented for the next ten years. This would hopefully give them a chance to make China marketable again. Essential advancements include robotics and 3-D printing among others. Also, networks are also being considered such as cloud computing; in this generation, everything must be available to be accessed online and it will definitely be a great advantage. China, in fact, made huge investments on this including robots. It can be compared to American robots that are used to perform tasks that people usually do. In manufacturing, this can definitely cut down labor costs. A major disadvantage of China in this field is their lack of knowledge and expertise. Thus, they have to keep up with the work that other countries can do double. Furthermore, the advancements would require highly skilled individuals to match the complexities of the technology. The United States is able to adapt to the rise of technology which gives them more opportunities to develop the economy. The opportunities for people also rise since there is greater demand for a higher level of skills. The US is able to produce talents and educate their nationals to keep up with the requirements of the fast paced industry. Generally, the US is more capable of maintaining and improving with time and technology. The strategies are fast and concise and this gave them the competitive advantage towards China. Also, the US and went ahead to implement policies along with the manufacturing companies and cooperatives. This is for the common welfare of the businesses as well as the people involved such as sustainability, security and safety and health protection. During the 1940s, China experienced instability due to the Sino-Japanese War which coincided with the Nanking Massacre. All the trouble Japan has brought China during this era affected their manufacturing industry. It was the time when penicillin was manufactured as considered as part of the innovations then. Today, there are other countries in the competition to be on top of the manufacturing industry such as Russia, India, and Brazil but the remarkable changes are seen in the US as it is stepping up and China may be having a difficult time. Manufacturing companies in different nations have been challenging themselves to be of higher value. They are gradually but effectively transforming to show what their capabilities are. Also, being ahead in this gives them the strength to dominate the industry in a larger scale. It is nothing short of beneficial to the economy of a country most importantly when they can possibly produce the most limited products and exports to the world. Leading countries must continue to push themselves and watch out for new trends and demands of the time. Particularly, the US is set to a greater pressure to earn the spot from China. Although China is doing certain moves to remain a good market to the world, they may not be competitive and adaptive enough for what’s yet to come in manufacturing. This industry surely requires a lot of work and too many efforts will require success on this field.